"Emma Bladon Jones treated us to an excellent set with her clear voice, sensitive songs and inventive guitar work. She played songs from her EP Life is Self Taught, a tender cover of In My Life by the Beatles, and a new song called Iris of War. It all went over well with me. She has a gadget called a loop box which lets her play a few bars and have them repeat live so she can accompany herself, it seems risky but worked really well, and those moments where she experimented a bit with the sounds she could get from her guitar were highlights." I also run Open Mic Nights! Every Tuesday (from 8pm) at The Mill & Brook, Long Eaton. Every Thursday at The Lion at Basford, Nottingham, from 8pm. 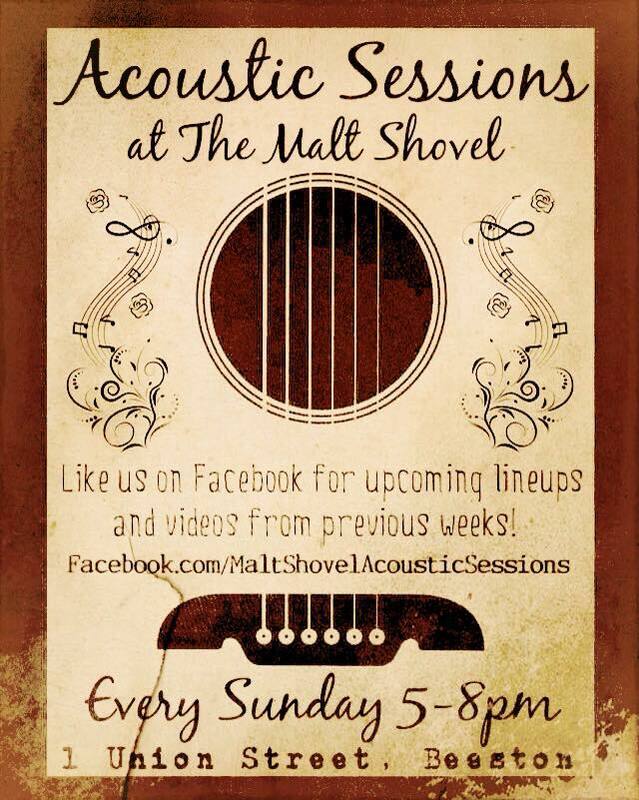 And every Sunday (5-7pm) at The Malt Shovel, Beeston.